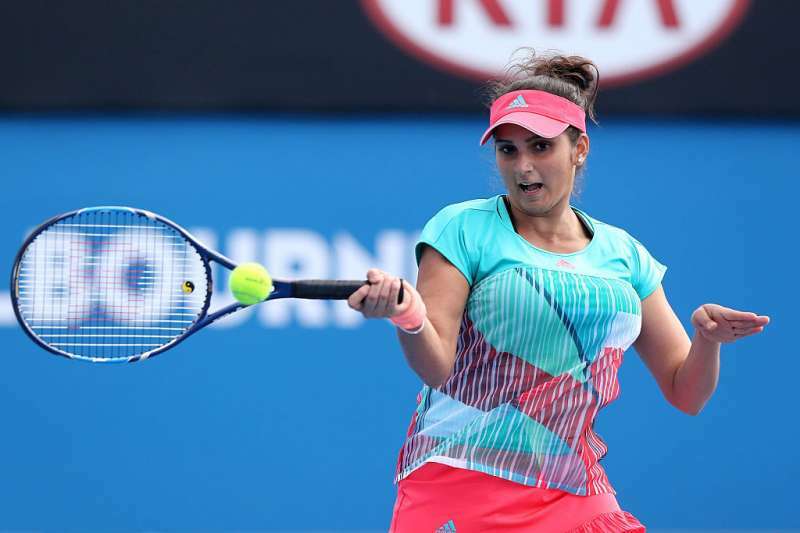 India’s tennis queen Sania Mirza finished a brilliant 2016 season as the Year-Ending No. 1 after the Russian team of Ekaterina Makarova and Elena Vesnina upset the reigning US Open champions Bethanie Mattek-Sands and Lucie Safarova, 7-6(5), 6-3 to clinch the season-ending WTA Finals title in Singapore on Sunday. With this, the Indian now has the distinction of ending two consecutive seasons as the Year-End No. 1. Mirza, who reunited with former doubles partner Martina Hingis for the defence of the WTA Finals crown, had her numero uno ranking under threat right from the beginning of this tournament. As many as three players – Caroline Garcia, Kristina Mladenovic, and Bethanie Mattek-Sands – were gunning for the much-coveted top spot. With the French Open champions Garcia and Mladenovic crashing out in the semi-finals, the Olympic mixed doubles gold medallist Mattek-Sands, who reached the final, was the last possible obstacle for the Indian in her quest to finish the year as the best. Mirza and Hingis’ title defence screeched to a halt at the hands of Makarova and Vesnina in the semi-finals and that meant the Indian picked up 750 points to stay at 8135. All Mattek-Sands needed was to win the final and accumulate the 1500 points that would have taken her to 8225. Since she fell in the last hurdle, she finishes with 7805, helping the Indian retain her ranking. This is not the first time that Mirza had to ward off a challenge to her ranking. Sania jointly reigned supreme at the top alongside Hingis before their surprising split in August. Immediately after parting ways, the two faced each other in the WTA Cincinnati final which became a battle for the No. 1 ranking as much as it was for the title. There the Indian emerged victorious with her current partner Barbora Strycova and by dint of it, she became the solo No. 1 as the Swiss Miss got demoted to the second spot. Mirza amassed as many as eight titles in a highly successful 2016 season – the highest anyone has achieved amongst the WTA doubles exponents. She started the season with a bang, winning her first four tournaments alongside Martina Hingis one of which was the Australian Open crown. The two, popularly called Santina, were going for the Non-Calender Year Grand Slam after three straight Major title wins but saw their spectacular 41-match winning streak getting snapped in the quarterfinals of Doha in February. The Indo-Swiss pair could only add one more title after that on the clay courts of Rome before announcing their decision to go separate ways. The end of the fruitful partnership did not affect Mirza as she continued winning with other partners and was able to clinch three more titles in the remainder of the season. Her ability to consistently produce results also saw her completing 80 weeks as the world’s best doubles player – an accomplishment even the 29-year-old herself was very proud of. And now with her sealing the Year-End No. 1, Mirza’s reign at the pinnacle remains assured till January 2017.